Click here for the 2019 5th Grade Fun Club Registration Packet in English. 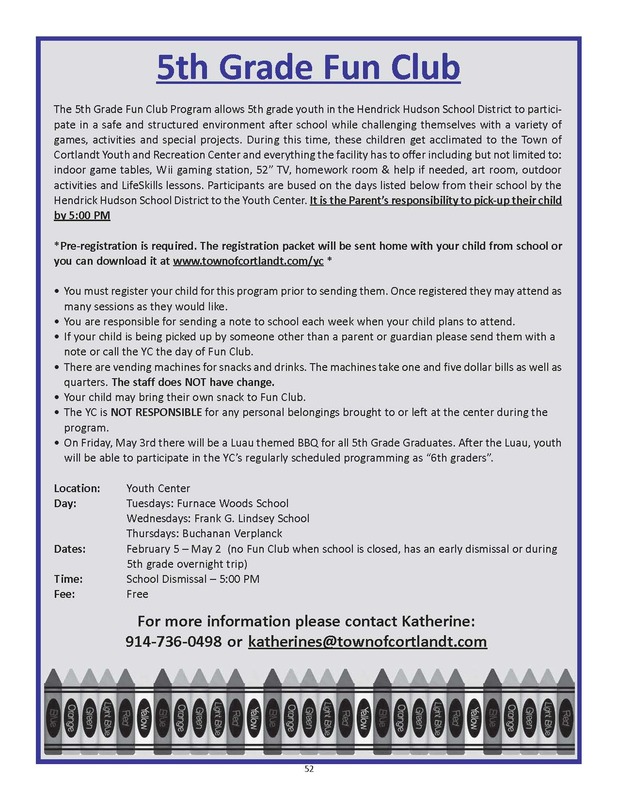 Click here for the 2019 5th Grade Fun Club Registration Packet in Spanish. *Registration for your child to take the bus on the first day of Fun Club is due on Thursday, January 17. It can be dropped off at the YC or your child can turn it in to the main office at their school. Any registration forms submitted past this deadline will result in a delay with your child taking the bus to the YC; however, it will not prevent your child from participating in the program.